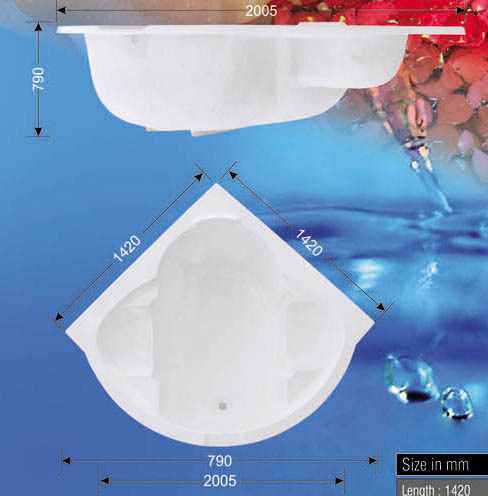 With enriched industry experience and knowledge, we are manufacturing, exporting and supplying our clients with a wide assortment of Acrylic Corner Bathtub. Designed with utmost precision, the offered bathtub is intricately manufactured by using quality-tested ceramic and advanced technology by our talented experts. In addition to this, our offered bathtub undergoes rigorous tests under the supervision of adroit quality controllers in order to ensure its flawlessness.